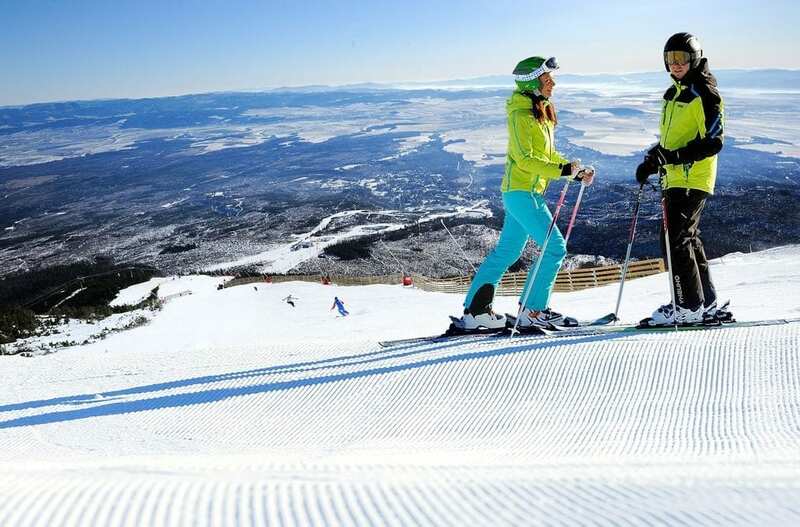 Slovakia ski specialist Mountain Paradise is tempting pre-Easter skiers with £100 off seven-night ski breaks and a free ‘fresh track’ experience this March. Available at the four-star Hotel Grand Hotel Praha in Tatranska Lomnica in the High Tatras, prices start at £849 per person including the saving, seven nights’ half board accommodation and return flights with Wizz Air from London Luton to Poprad in Slovakia or Easyjet flights from Liverpool or Manchester to Krakow, six-day lift pass, equipment hire and transfers. As well as the discounted holiday package, the offer also includes a free €30 ‘fresh track’ experience, enabling guests to be the first up the mountain to carve up perfect morning powder. Early breakfast at the mountainside Rotunda Cafe is also included. Originally built in 1905, the Grand Hotel Praha retains a grand turn-of-the-century style. Recently renovated it features an inviting outdoor spa and hot tub – the perfect place to relax after a day on the slopes. The Tatranska Lomnica ski resort offers great slopes for beginners and intermediates looking to improve their abilities on the lower newly built slopes which are equipped with a new snow making system. More experienced skiers can enjoy the black run starting at the altitude of 2196 m and ski all the way down the longest ski run of Slovakia with its 6.5km length. Mountain Paradise also operates a regular shuttle from the hotel to the Strbske Pleso resort where, as well as 12km of slopes, there’s also a superb snowboard funpark. Mountain Paradise, (mountainparadise.co.uk, 0161 408 8988) was established in 2003 and is the only ATOL bonded ski specialist operating solely to Slovakia’s Tatra Mountains. It offers a variety of ski holidays in the High and Low Tatras that can be tailormade to suit clients’ requirements.